sailboat. : Uggs for the iPad! Since getting my iPad over a year ago I've been on the search for the perfect case for it. I had the original Apple smart case and I wasn't a huge fan, eventually selling mine & opting for a cheaper click-in alternative, which I love for protection around the house but for traveling or just popping in my bag I don't think it's the best at protecting it from knocks and bumps. 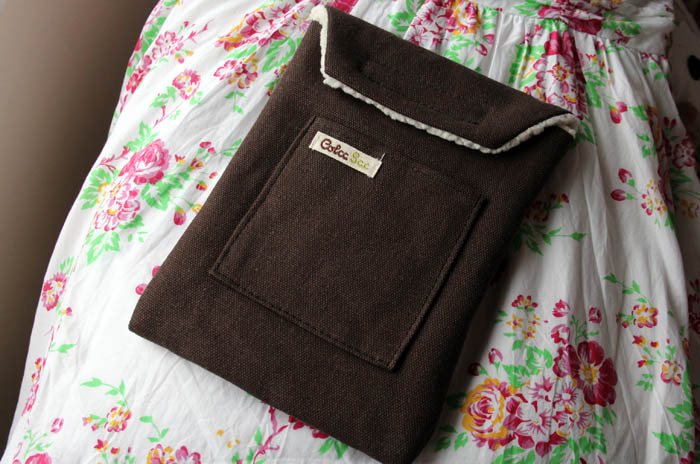 Cue the ColcaSac Hanakapiai sleeve, or as I have heard them described, Uggs for the iPad (just way more eco friendly!)! Who said tech accessories can't be cute as well as useful?! Mobile Fun kindly gifted this to me, they have a whole array of iPad covers to choose from, but this is the one that instantly caught my eye & I adore it! 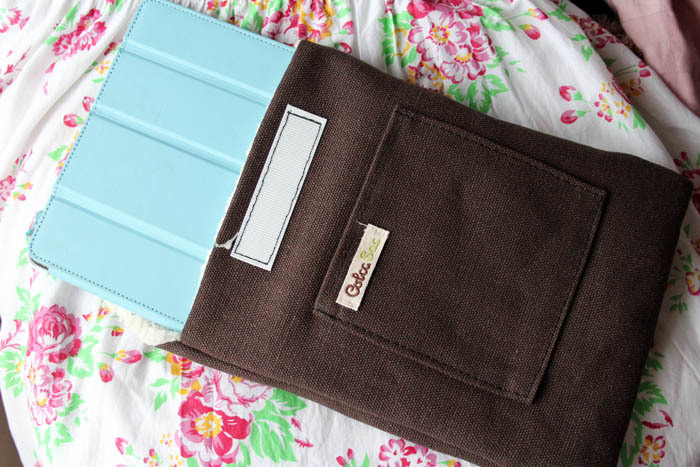 My iPad fits snugly inside, both with and without it's click-in case on, which I really love because it means I don't have to faff around taking it off every time I want to go anywhere & equally I know that it won't slip around if it's in the sleeve without the case. 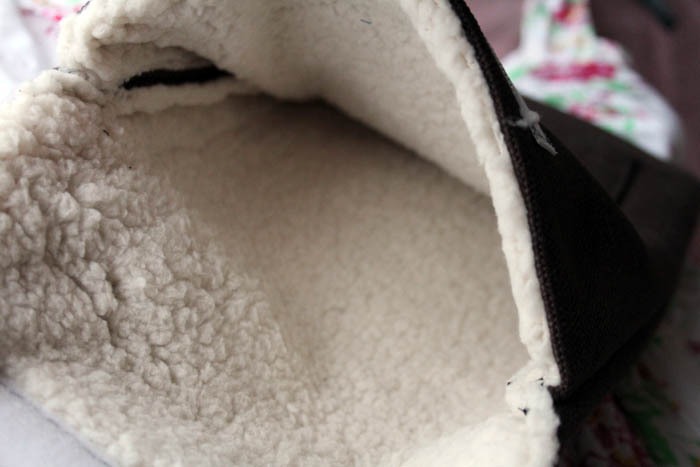 Made of natural materials, it's super eco-friendly which is something that really appeals and the recycled polyester fleece is super soft and thick. This is one of those items that you can tell a lot of thought has gone into, I mean the velcro used is thinner than the average velcro & quieter to open, so if you're in a library you don't have to worry about disturbing others. I love that! 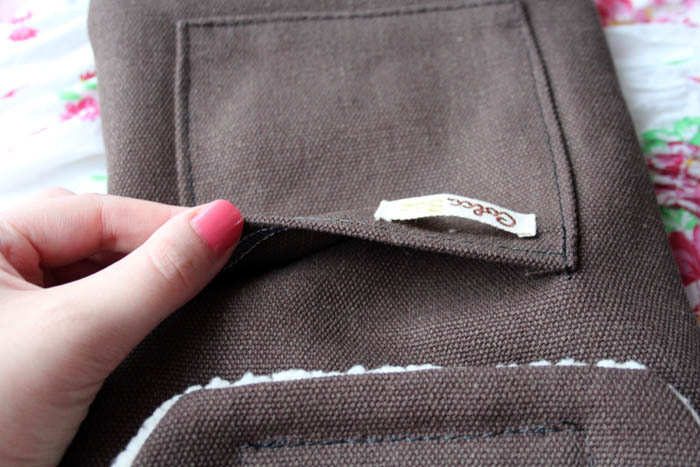 The little pocket on the front, which I'm sure is meant to be for practical things like chargers & USB sticks, is the perfect size to fit my phone, my keys and a lipgloss so it's easy to grab if I'm nipping to a friends house super fast! 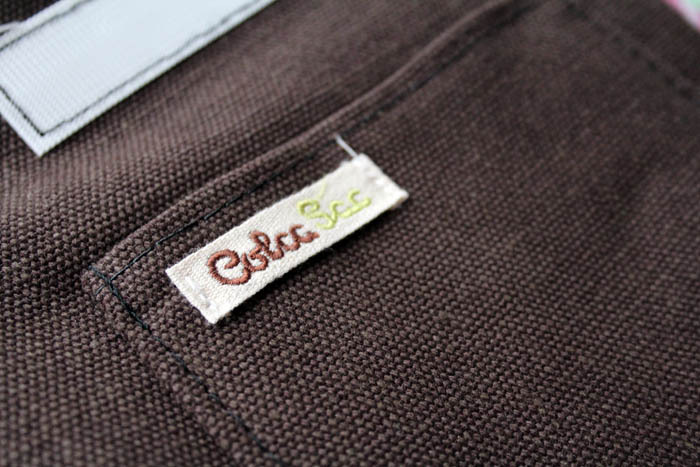 I'm totally sold on the ColcaSac products, they're practical and really cute at the same time. 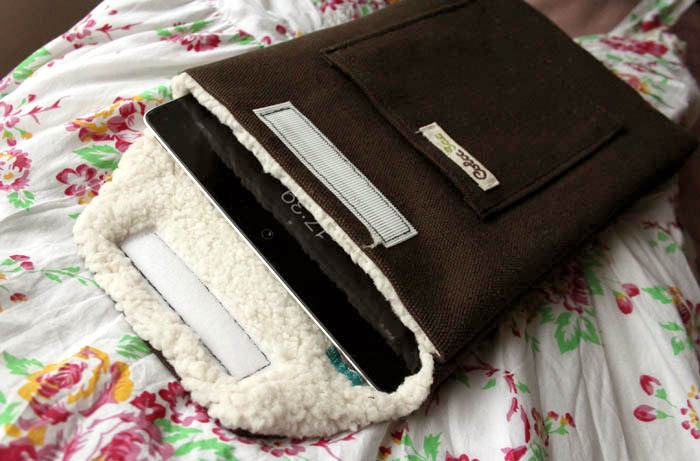 I mean, it's like a winter coat for my iPad, what's not to love?! I've spied the ColcaSac website already and totally have my eye on the matching Hanakapiai phone case (I don't even have an iPhone but I'd make it work!) & the Jack Bauer messenger bag. See, told you I loved it! Do you have a favourite tech accessories brand you always go for? I'd love to know what it is if so! How cute is this! I want an Ugg for my iPhone! Not sure if it would work, but I don't care. 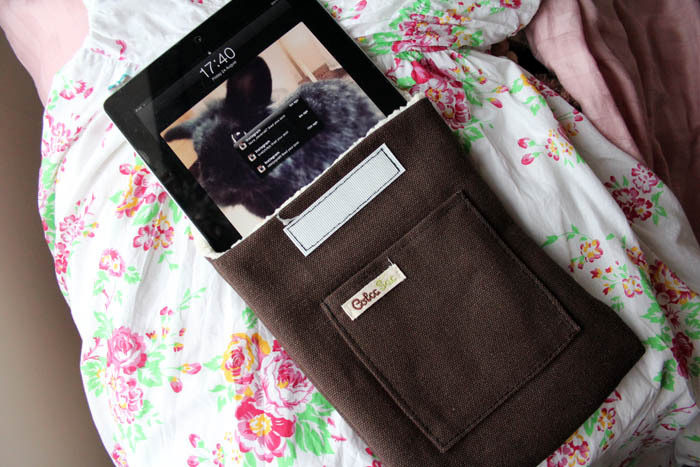 These are lovely, I want one, my current one doesn't fit the smart case, dressing ipads for winter!? Why not. Enter my studded corset giveaway in collaboration with Kat Valdez! I'm still on the search!! I want one that opens up like a book so it's protected even when I'm holding it!! Ah that'd be so cute! Aww! It'll never catch a cold :) I wish I had an iPad now just to put it in cute covers. 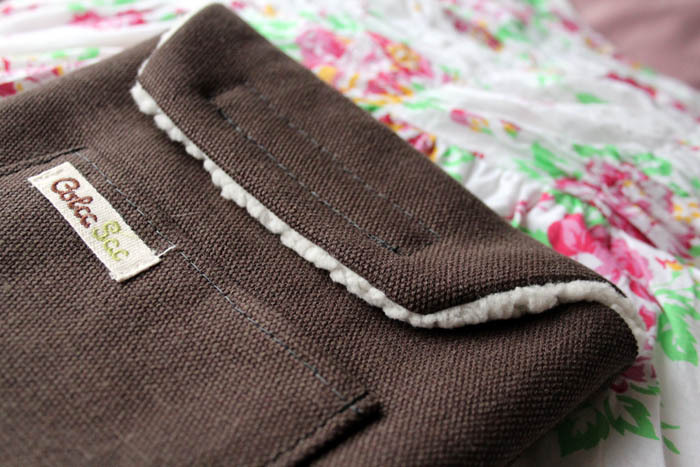 The iPad looks all snuggly in its new cover! :D I'm thinking about getting an iPad and now I know where to go to get some cute accessories for it!